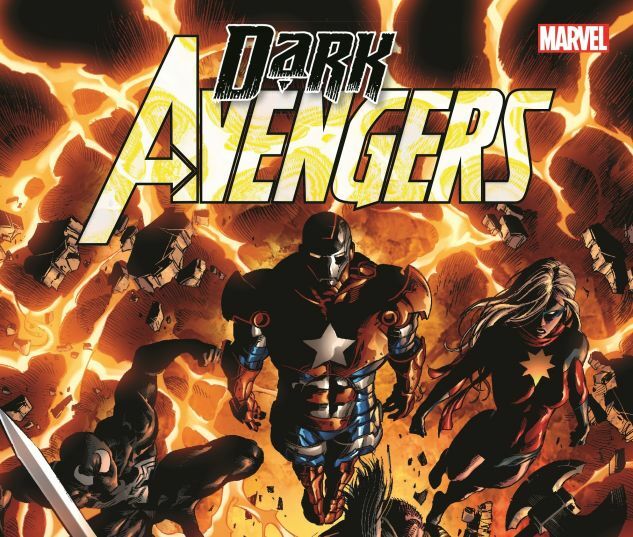 Dark times call for Dark Avengers! As Norman Osborn’s Dark Reign begins, he assembles a terrifying team in his own image! Who are his handpicked Hawkeye, Spider-Man, Wolverine, Ms. Marvel and more? The answers will shock you! Donning the armor of Iron Patriot, stormin’ Norman leads his Avengers into action — but soon they’ll face a foe they can’t defeat: the deadly, deranged Molecule Man! Meanwhile, Marvel Boy joins the new regime, but he has no idea how sinister a gang the Dark Avengers actually is. How will he react when he finds out? Plus: After years of mystery, the secrets of the Sentry are finally revealed! 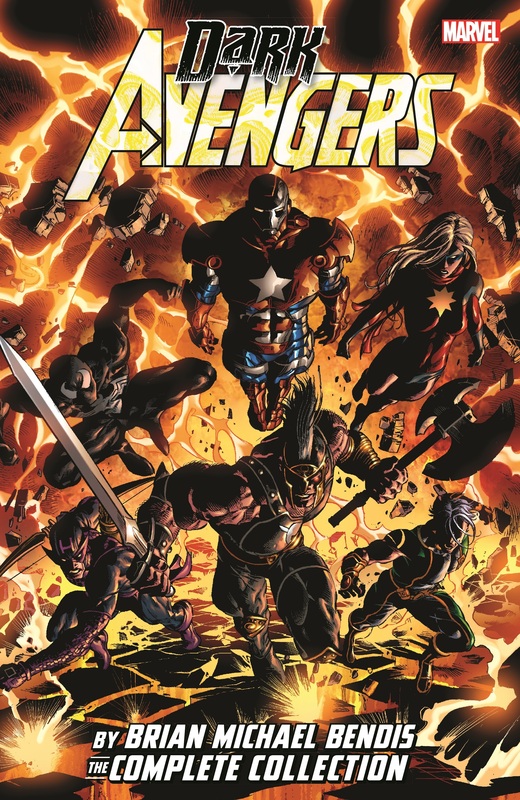 Dark Avengers assemble! 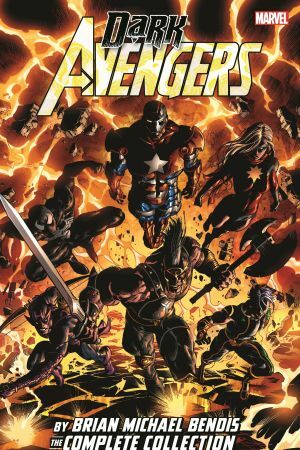 Collecting DARK AVENGERS (2009) #1-6, #9-16 and ANNUAL #1.